Increase your expectations, not your budget! This package is simply amazing! Originally introduced in January of 2011 it became our top selling package of the year. This album makes a HUGE impression. Thanks to the new Artisan Elite® build, this album is even more fantastic. There are so many new and exciting album cover choices available that we'll be showing off on this website. Now the covers and accesories on the outside of the album are just about as exciting as what's inside. Since there are too many choices and too much good stuff we're going to be making it easy for our clients to get these album upgrades so that we can photograph them and share them with you. This year's brides will be extra, extra happy! 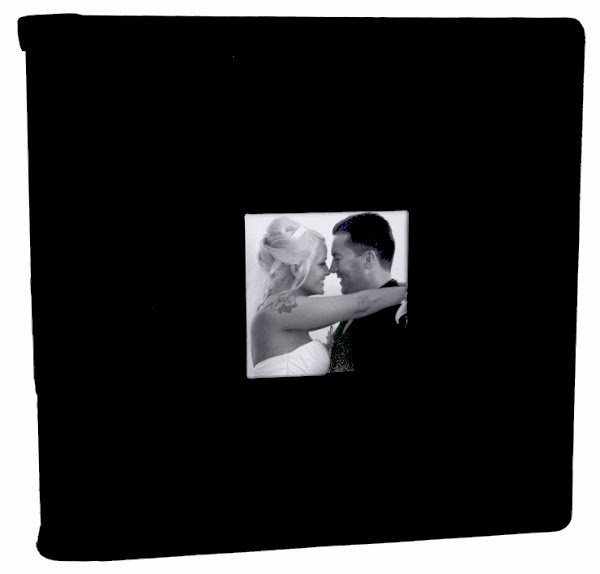 At the heart of this package is a large and wonderful 12"x12" Artisan Elite® bridal album. When you open it, it's a foot tall and two feet wide. It makes a huge impression! Even if you have a 24" computer monitor these album pages are still larger! For as large as the album is, it's still a very manageable size. With this size album, and our raw album design process the images have a high definition look to them. With our comprehensive layout techniques you will have an absolutely wonderful story to tell about your wedding day! Eight hours coverage of contemporary, comprehensive innovative wedding photography c from a 10+ year seasoned wedding photographer. More than wedding photography, we work with you to make certain your day runs smoothly and we maximize your photo opportunities. Professional coverage means that your wedding photography needs will be handled by someone who will treat you, your family, your guests and your wedding with the professionalism you expect. A DVD of ALL of your wedding day images, in full resolution, without overlays, marks or logos. These images are adjusted for proper exposure, proper color, proper density. All images are placed into categories and renamed so that you can find what you're looking for very quickly. 12"x12" 40 side Artisan® Elite magazine bridal album- The build quality of this album is excellent! There are no cuts in the center of the album like is common in other albums. You will enjoy a full view without annoying gutters. The album is manufactured with pride in Southern California with the most state of the art equipment in the industry. This allows for a fast turn around and a build quality to last a lifetime. Image Bank Once you receive your images and album you are ready to move on to your "happily ever after" part of your life. It's rare but sometimes images get lost and albums get ruined . We go the extra mile to save your images and layouts. We offer reduced cost album replacements and free replacement of your wedding images for the first five years of marriage (limitations apply please contact us for more information). Smart Payments Options Don't stress about the money, we've got options for you! First, you never spend more than $1000 before your wedding for any package. Payments are simple, $500 when you sign up, $500 two weeks before the wedding and the balance when you want your high resolution images after the wedding. We also have convenient ways to pay including PayPal and Google Checkout. This means that we can accept nearly every major credit card and payment with the exception of Bitcoin and Blue Chip Stamps. Discounts Lifetime Images proudly salutes the men and women of the armed services and our first responders, and offers discounts to them in gratitude for their service. Friday and Sunday weddings are also eligible for discounts. Please E-mail us regarding these discounts. Please also include your name and date of your wedding. Rick was the first groom to get the new Artisan Elite® Magazine Album. He was blown away.